All hope now lies on Sundar Pichai's Nexus 2015! Anonymous, 14 Aug 2015There are actually more feature added to it. Better than Note 4. A device truly made for multi... moreI like the note-taking with the screen off. Faster processor - would you notice it? And what else? Samsung pay that 90% the World will never use. That QWERTY keyboard accessory - plain silly and useless! What is Samsung doing? What's more useful are expandable memory, changeable battery, infrared remote and a non-glass back. I know where this will appear first. Samsung always release their phone to Korean drama immediately for product promotion. I will keep my eyes on it and see how they use it. Who knows, Marvel Avenger might make a new movie featuring Note 5 and S6 edge+. We have seen Samsung in a lot of movie like Jurassic World too. Can't wait for their high budget ads and gimmicky marketing that always win an award. 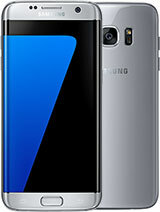 Unfortunately Samsung has singed its death sentence with this. I am sure it will be a great performing and looking phone and I personally don't care that much about the SD slot, because 32 GB or 64 GB is more than enough for me, but a non-removable 3000 mAh battery?? no pros but many cons!!!!!!!!!!! Is this Dual SIM ? TheNeighbor, 14 Aug 2015The Galaxy NotePOINTfive has practically less features than the first 4 Notes, even with all t... moreThere are actually more feature added to it. Better than Note 4. A device truly made for multitasking. 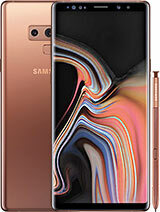 am still using note 2 now...note 3 design does not appeal to me ..now note 5 seems to be worse than note 4 .....why must Samsung follow iphone design with non-replaceable battery and non-expandable SD card slot ? ?...samsung will fail in their Note 5 . 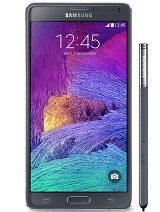 Note 5 now lost its original identity and soon become S series phone . Note 4 will be my target to change . 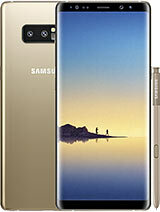 Samsung need to seriously address to the needs of their note fans . No micro sd, weak battery, no thanks. I love my note 4. 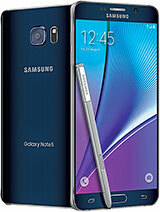 Maybe the battery will last longer than note4 just wait,a question does it have infrared or air gestures? Reason why Samsung Note 5 is thinner, only has 3000mAh battery and no microSD slot. 1. Trimming down battery size allows the phone to become thinner. Samsung thinks people like being thin. 2. Samsung may have collaborated with a Power Bank company like Mophie. They trimmed down the battery so you'll buy a case with built in battery, then a percentage of that sale will be given to Samsung. This equates to more profit to both Samsung and that company. 3. No microSD means you'll buy the version with bigger capacity. This means more profit again. Nishant India, 14 Aug 2015The most disappointment is that there is no Card slot in Note 5. As the internet speed in Indi... moreYes u r right bro.in pakistan we also have low speed internet. And sumsung barttery also low consumption.